Eco-friendly PAWS A WHILE COUNTRY CLUB is operated for your best friend who deserves the same comfort provided at home. It also operates so that you can go away on your well deserved holiday knowing that your pet is having a better one. PAWS A WHILE COUNTRY CLUB is set in a quiet, tranquil and secure environment which allows your pet to socialize as much or as little as he or she wishes. Everything your pet needs will be provided. There are a number of large run areas to suit both small and large dogs. 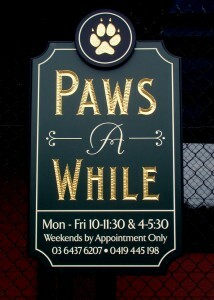 PAWS A WHILE COUNTRY CLUB kennels and cattery are brand new and ECO-FRIENDLY. Fully licensed, fully insured, with one on one attention to all your pets needs. Your pets health and welfare is paramount at Paws A While Country Club. Our aim is to make each animal happy in its new environment with companionship, playing ball, relaxing to music, a big hug and cuddle or just to let them hang out with their new friends. They even share our office. All rooms are temperature controlled, steam cleaned and disinfected daily. Owner and manager on premises 24 hrs a day. 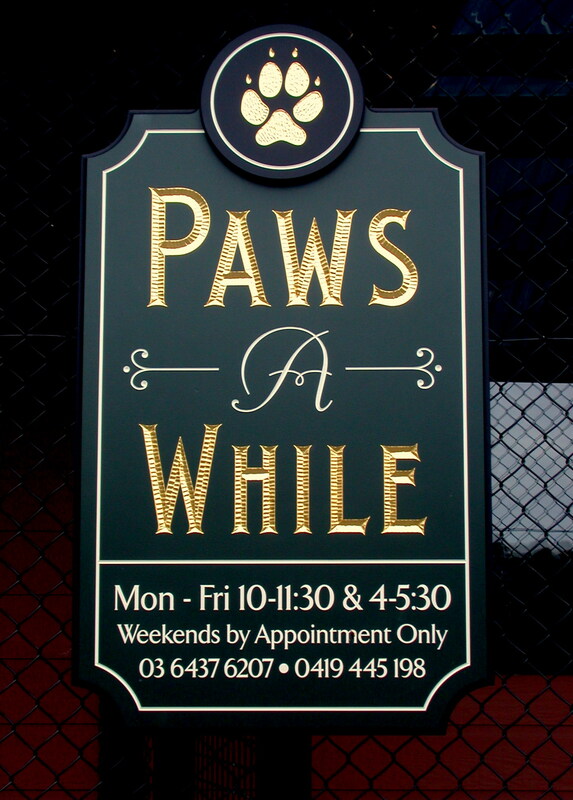 FOR ONE ON ONE CARE AND ATTENTION, book your pet into PAWS A WHILE COUNTRY CLUB. All FOOD is prepared and cooked in our own kitchen. Fresh, natural and FREE OF ANY PRESERVATIVE OR CHEMICALS. 5 SARAH ROAD, RIANA, TASMANIA – JUST 10 MINUTES OFF THE BASS HIGHWAY FROM PENGUIN. with family suites and penthouse cottage. PAYMENTS CAN BE MADE BY CASH, CHEQUE, EFTPOS or DIRECT TO OUR BANK A/C.